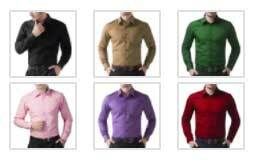 Blue formal shirt for Men’s at Flipkart at just Rs 479 for limited period while the actual price is more than deal price. You can choose your favorite color from 14 multiple colors. To get this price and deal please follow the below mentioned steps.